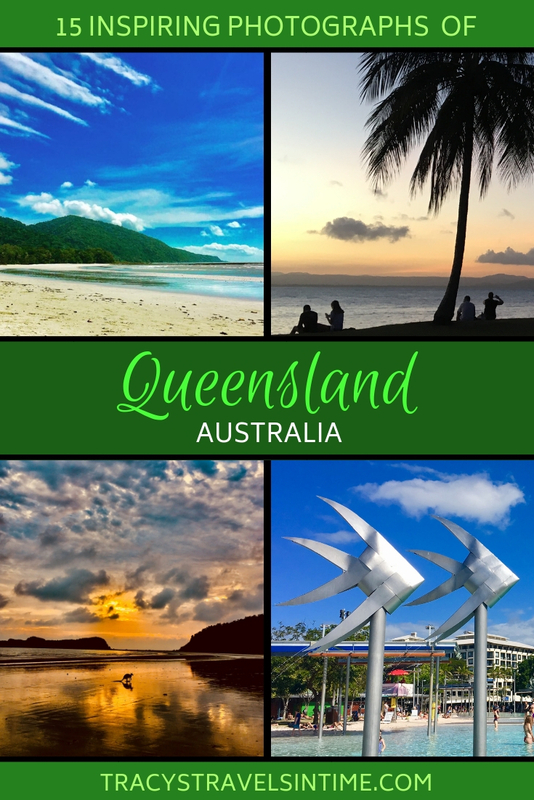 If you are thinking of visiting Australia and are seeking some inspiration to get that holiday booked this post may just provide it! 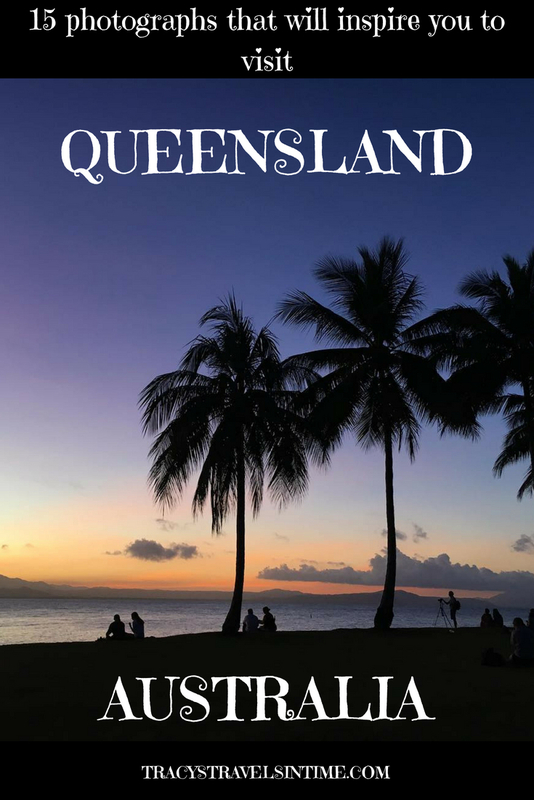 These are my favourite photographs I have shared on my Instagram over the last 12 months and I am confident these photographs that will inspire you to visit Queensland. Please do check out my Instagram and follow me too! Without doubt THE most beautiful beach I have ever seen. Visiting the Whitsundays has been one of the highlights of our time here. The sand is like flour and so incredibly white. Easy to see why it is consistently voted one of the most beautiful beaches to visit in the world. Home to the legendary big MANGO Bowen was a great weekend getaway for us when we lived in Mackay. Wonderful beaches and the best fish and chips I have even eaten are my memories of Bowen! Sunrise, a beautiful beach and kangaroos! What could typify Queensland more? I have been to Cape Hillsborough 4 times now and although it is an early start to be there at sunrise I have yet to be disappointed by the sight of these gorgeous animals bounding across the beach. Although I have so many photographs of Cape Hillsborough but this one remains my all time favourite. I am constantly surprised how many Queenslanders say “where?” when I mention Cape Hillsborough. My post and guide to seeing the kangaroos and wallabies remains one of the most popular on my website so hopefully more people will go and enjoy this wonderful experience! I would love to be able to claim this photograph as my own but it was taken by my work colleague on a recent work trip. Hervey Bay is the place to see whales during their annual migration to have their babies in the warmer waters off Northern Queensland. It is also the stepping off point for Fraser Island – a UNESCO World Heritage Site and the largest sand island in the world. 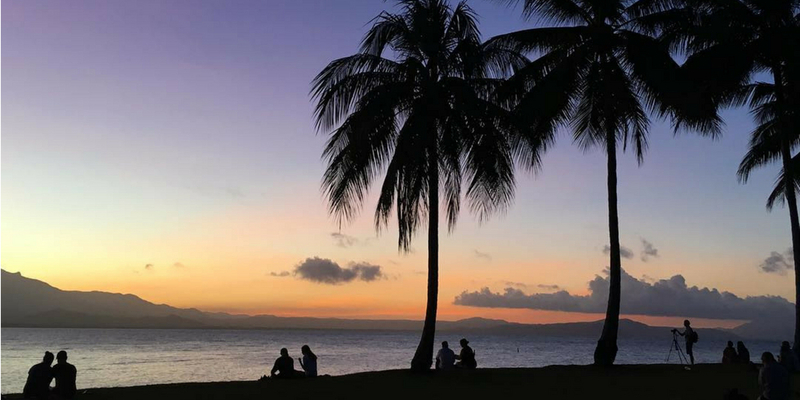 If you visit Queensland then Brisbane will inevitably be on your itinerary. South Bank in Brisbane is one of my favourite destinations in summer. With beaches, a market, great places to eat and a wonderful relaxed vibe it is the place to chill out on a Sunday afternoon. In the evening take a stroll along to the Brisbane sign for a great photograph of the city. A visit to the Sunshine Coast Hinterland is a must-do for anyone visiting S.E. Queensland. The Glasshouse Mountains dominate the landscape and we were rather pleased to stumble on a great cafe with this amazing view of them! The ultimate symbol of Australia the koala is on everyone’s wish list to see when visiting Queensland. If you are not lucky enough to see one in the wild then the next-best is to see one at Lone Pine Koala Sanctuary in Brisbane. I could watch them all day and we enjoy visiting the sanctuary so much we paid for a yearly membership! This photograph showing Surfer’s Paradise in the background is taken from Burleigh Heads beach on the Gold Coast. Definitely an area we want to explore more this coming summer! Cape Tribulation in Far Northern Queensland was our recent holiday destination. Crossing the Daintree River and exploring the wet tropics a UNESCO World Heritage area was very special. It was like stepping into a Jurassic Park film with the cassowary and crocodiles taking a starring role! Take a ride on the City Cat in Brisbane and enjoy the sights of the city from the river! Hop off at South Bank or take a ride to Eat Street and sample some of the best street food in Queensland. Koala, kangaroos, wallabies, beautiful birds, lizards, echidna, possum, crocodiles, wombats and dugong just some of the wonderful wildlife to spot when visiting Queensland. This little beauty was a great subject and was a right little poser! So many palm trees in Queensland but 2 places that I immediate associate with them are Port Douglas and the esplanade in Townsville! Driving into Port Douglas you will find palm tree lined avenues welcome you into town. Apparently the council has to pay hundreds of thousands of dollars a year to de-nut the trees to avoid the threat of being clonked on the head by a falling coconut! So many photographs of beautiful sunsets! This one is my favourite and was taken in Port Douglas on our recent trip. Bit of a cliche pic but so stunning to experience! We have stayed in a variety of accommodation on our travels around Queensland over the last year but my absolute favourite was our stay at Pethers Rainforest Retreat on Tamborine Mountain in the Gold Coast hinterland. This luxury accommodation is the perfect retreat for those looking for a relaxing break. Stay in your own private luxury tree house set in the rainforest and unwind! Dang when Queensland was already way up on my bucket list. I think this needs to be the next place I go! The photo of the kangaroo on the beach is my favorite! We have beaches and palm trees where I live, but no kangaroos! Queensland is indeed a peaceful and lovely place! thanks Sharon – it sure is fab! Queensland is such a huge place and there’s just so much to see. I’m impressed with how much you’ve seen Tracey, a lot more than I have haha. Glasshouse mountains I’ve only seen from the train, would love to hike up there. Great snaps! Thanks David – we have been travelling a lot and loving it all! What a beautiful place! I wanted to visit the area for a while now, I’ve only been to Sydney and its vicinity when I last visited Australia. I love your photos! Thanks for sharing. You didn’t really need to inspire me but I am more inspired to come back than I was a few minutes ago! Great photos and I really do see a trip coming up! Let me know if you are visiting! Would be great to meet up!